With glaucoma, what the eye sees in parts of its visual field starts to fade. This loss of vision usually is clustered in zones located around the center of focus. It most often occurs in both eyes, which explains why one symptom in advanced glaucoma is called tunnel vision. Areas or zones of the eyes light receptors are not sending signals to the brain (the visual cortex). Clusters of the nerve fibers in the retina that link with the receptors start to switch off. In glaucoma, the cornea and lens still focus the light they receive, but the nerve damage cuts off some communication channels to the brain. Vision loss due to glaucoma is most often gradual. This, perhaps, is one reason why most glaucoma is found in people over 40 years of age. The glaucoma probably developed slowly over several years prior to being diagnosed. A person with the first stages of glaucoma who has regular and frequent eye examinations has a better chance of having their condition diagnosed early. The earlier glaucoma is diagnosed, the greater the likelihood that it can be slowed down or even stopped with medication, well before the tunnel-vision stage is reached. Untreated glaucoma commonly causes vision loss called “tunnel vision” and can lead to blindness. A common cause is high aqueous pressure within the front of the eyes. Glaucoma treatment, to be successful, should start as soon as the pressure and/or vision loss are detected based on careful diagnosis. For most people with glaucoma, once the pressure reaches acceptable lower levels, nerve damage may slow or stop, but the damage is not reversed. The importance of tailoring treatment to the individual is discussed. Anyone who knows they are in a high-risk category is advised to have their eyes examined regularly. Diabetic retinopathy is a retinal blood-vessel disease that affects people with diabetes. It may progress from early to advanced disease. At first, vision is unaffected. In later stages, new blood vessels and fibrous tissue grow on the retina, interfering with sight. If not promptly treated, vision loss may occur. Tight control of blood sugar levels may prevent or slow the progress of this disease. Laser surgery may help preserve vision in some people with advanced disease. Diabetes affects tiny blood vessels that nourish the retina, the eyes internal projection screen. Over time, the retinal blood vessels become clogged or leak. When the retina’s blood vessels are unable to deliver enough nutrients to its light-sensitive cells, vision loss occurs. This disease is called diabetic retinopathy. Early disease:In the early stages, tiny blood vessels in the retina become blocked or damaged, cutting off the food supply to small patches of light sensitive cells. Blood (hemorrhage) or fluid (exudate) leaks into retinal tissues, causing swelling. At first, sight is rarely affected. For that reason, this stage is called background retinopathy. Over time, abnormal blood vessels grow into the retina and vitreous (jelly-like substance that fills the eye) in places where tiny blood vessels no longer function. These rogue vessels are fragile and rupture easily. When leaks occur, complications can cause severe vision loss if not promptly treated. This advanced stage of disease is called proliferative retinopathy. When abnormal vessels burst, blood or fluid can collect in the retina’s central spot or macula. This spot is responsible for central vision. When it is swollen, central vision gets blurry. Fine details are lost. Reading, watching television and driving become difficult. If not treated promptly, macular edema may cause permanent vision loss. As the body works to repair damage to the retina, scars form. Eventually, scar tissue can push the retina away from the back of the eye (retinal detachment). This detachment causes permanent loss of vision. If caught early, laser surgery may prevent or limit irreversible vision loss. When abnormal vessels bleed into the vitreous, vision is blurred. Specks of blood may float through your field of vision. Large leaks into the vitreous can obscure sight, making it difficult to tell light from dark. The blood may clear away in a few days, months or even years. Large leaks (hemorrhages) often occur during sleep. If a lot of blood builds up in the vitreous, the eye doctor may recommend a vitrectomy. This operation replaces the cloudy vitreous with a clear solution. Timely treatment of problems macular edema, retinal detachment, abnormal blood vessel formation or blood-clouded vitreous may prevent or limit permanent loss of vision in people with diabetes. Also strict control of your blood sugar levels along with proper diet and exercise can also prevent and even reverse some signs of diabetic retinopathy. Lazy eye is a progressive loss of vision that occurs because of poor development in one or both eyes during infancy and childhood. Usually, only one eye is affected. Infants with lazy eye will make a fuss and cry if one eye is covered. Children with lazy eye may be able to see things well on one side, but have problems seeing all objects clearly and judging depth or distances. Consequently, they may try covering one eye or tilting their head to read. They may also be seen rubbing their eyes, winking or bumping into objects on the side of their weaker eye. Children with crossed-eyes often develop lazy eye. However, this degenerative condition may also develop without any very obvious signs, and the affected eye often appears perfectly normal.Lazy eye usually develops because of an inherited condition and is experienced by children. There is very little likelihood that lazy eye would develop in an adult. Infants and children with lazy eye experience a loss or lack of development of vision, usually in one eye. Lazy eye is caused by the physical limitations of the eye and the effect these limitations can have on the nerves leading to the brain. The three types of conditions that can lead to lazy eye are crossed-eyes, defects in the focusing power of the eye, and damage or clouding caused by cataracts or other diseases. In the treatment of this disease, the younger a child is, the more effective correction of vision tends to be. Parents have a special responsibility in seeing that prescribed treatment is closely followed so their children can look forward to a lifetime of good vision! A degenerative disease that affects the central spot (macula) of the retina, which is responsible for central vision. Age-related macular degeneration is the most common cause of vision loss in people over 60. There are two types: wet and dry. Some people with wet macular degeneration may be helped by laser surgery or frequent injections of medicine into the eye. The cause of this disease is unknown, but researchers are studying whether vitamin and mineral supplements can prevent or slow its development. Macula is a Latin word that means spot. In macular degeneration, a pea-sized spot in the center of the retina is permanently damaged. This spot is responsible for central vision. When the macula is injured, objects directly ahead look blurry. Details are lost. There is a fuzzy "hole" in your vision. When looking at a face, only the ears are clear. People see a picture frame clearly, but not the picture. How badly central vision is blurred depends on the amount of damage. Macular degeneration develops slowly and painlessly over time. It may affect one or both eyes. About 90% of people have dry AMD. Behind the retina, a membrane separates the central spot or macula from its blood supply. Over the years, this membrane ages, thins and breaks down, exposing light-sensitive cells in the central spot to leaky or abnormal blood vessels. Cut-off from their food supply, these cells eventually stop working.There is no way to reverse this damage. Central-vision loss occurs slowly and is usually mild. Someone with dry AMD in one eye may not notice any difference in his or her vision. Uveitis is an inflammation and/or sometimes infection inside the eye. In its most common form, anterior uveitis, the iris and neighboring eye tissue are inflamed and there is associated pain and light sensitivity. There is generally enough pain to send a sensible person to an eye doctor. But if uveitis strikes in the miple eye, or even in the inner back layer, damage may not be so evident. In the absence of pain (that is, without any signal that a doctor is needed) any form of untreated uveitis can become a greater threat to vision. Uveitis can affect any age group and tends to be aggressive in younger patients. In fact, in juvenile rheumatoid arthritis (JRA), the incidence of the inflammatory type of uveitis can reach upward of one third of sufferers. Physicians recognize this predisposition and counsel their patients to have eye exams at least once every 6 months. Treatment generally involves topical steroid drops with frequent dosing and a dilating drop. Sometimes an injection of steroid medication is performed for more aggressive uveitis. Occasionally oral immune-suppressing agents are used for long-term therapy. The spots, floaters and flashes we sometimes see in our line of vision are usually part of a natural aging process. While they may be bothersome at times, in most cases these shadows and “light shows” are not harmful. However, if there is a supen increase in the number of spots and floaters, if light flashes continue, if there are “new” floaters, or vision dims/decreases, immediate medical attention is needed ASAP as this may be a sign of a retinal detachment or retinal tear. If you are unsure of any of the signs/symptoms mentioned, you should seek immediate medical attention by your eye doctor, as time is a factor in visual recovery. dry eye is a part of the natural aging process. The majority of people over age 65 experience some symptoms of dry eyes. women are more likely to develop dry eyes due to hormonal changes caused by pregnancy, the use of oral contraceptives, and menopause. certain medicines, including antihistamines, decongestants, blood pressure medications and antidepressants, can reduce the amount of tears produced in the eyes. persons with rheumatoid arthritis, diabetes and thyroid problems are more likely to have symptoms of dry eyes. Also, problems with inflammation of the eyelids (blepharitis), inflammation of the surfaces of the eye, or the inward or outward turning of eyelids can cause dry eyes to develop. exposure to smoke, wind and dry climates can increase tear evaporation resulting in dry eye symptoms. Failure to blink regularly, such as when staring at a computer screen for long periods of time, can also contribute to drying of the eyes. Long-term use of contact lenses can be a factor in the development of dry eyes. 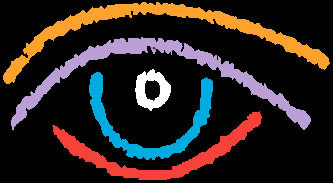 Refractive eye surgeries, such as LASIK, can cause decreased tear production and dry eyes. Measurement of the quantity and quality of tears for any abnormalities. Special dyes may be instilled in the eyes to better observe tear flow and to highlight any changes to the outer surface of the eye caused by insufficient tears. Using the information obtained from testing, your optometrist can determine if you have dry eyes and advise you on treatment options. Dry eyes can be a chronic condition, but your optometrist can prescribe treatment to keep your eyes healthy, more comfortable, and prevent your vision from being affected. The primary approaches used to manage and treat dry eyes include aping tears, conserving tears, increasing tear production, and treating the inflammation of the eyelids or eye surface that contributes to the dry eyes. Mild cases of dry eyes can often be managed using over-the-counter artificial tear solutions. These can be used as often as needed to supplement natural tear production. Preservative-free artificial tear solutions are recommended because they contain fewer apitives that could further irritate the eyes. However, some people may have persistent dry eyes that don’t respond to artificial tears alone. Apitional steps need to be taken to treat their dry eyes. An apitional approach to reducing the symptoms of dry eyes is to keep natural tears in the eyes longer. This can be done by blocking the tear ducts through which the tears normally drain. The tear ducts can be blocked with tiny silicone or gel-like plugs that can be removed, if needed. A surgical procedure to permanently close tear ducts can also be used. In either case, the goal is to keep the available tears in the eye longer to reduce problems related to dry eyes. Prescription eye drops or ointments, warm compresses and lid massage, or eyelid cleaners may be recommended to help decrease inflammation around the surface of the eyes. The lens is composed of layers like an onion. The outermost is the capsule. The layer inside the capsule is the cortex, and the innermost layer is the nucleus. A cataract may develop in any of these areas and is described based on its location in the lens. When a cataract progresses to the point that it affects a person's ability to do normal everyday tasks, surgery may be needed. Cataract surgery involves removing the lens of the eye and replacing it with an artificial lens. The artificial lens requires no care and can significantly improve vision. New artificial lens options include those that simulate the natural focusing ability of a young healthy lens. A common sign of nearsightedness is difficulty with the clarity of distant objects like a movie or TV screen or the chalkboard in school. A comprehensive eye examination will include testing for nearsightedness. An eye doctor can prescribe eyeglasses or contact lenses that correct nearsightedness by bending the visual images that enter the eyes, focusing the images correctly at the back of the eye. Depending on the amount of nearsightedness, you may only need to wear glasses or contact lenses for certain activities, like watching a movie or driving a car. Or, if you are very nearsighted, they may need to be worn all the time. Common vision screenings, often done in schools, are generally ineffective in detecting farsightedness. A comprehensive eye examination will include testing for farsightedness. In mild cases of farsightedness, your eyes may be able to compensate without corrective lenses. In other cases, your eye doctor can prescribe eyeglasses or contact lenses to optically correct farsightedness by altering the way the light enters your eyes. Presbyopia may seem to occur supenly, but the actual loss of flexibility takes place over a number of years. Presbyopia usually becomes noticeable in the early to mid-40s. Presbyopia is a natural part of the aging process of the eye. It is not a disease, and it cannot be prevented. To help you compensate for presbyopia, your eye doctor can prescribe reading glasses, bifocals, trifocals, progressive lenses, or contact lenses. Because presbyopia can complicate other common vision conditions like nearsightedness, farsightedness and astigmatism, your eye doctor will determine the specific lenses to allow you to see clearly and comfortably. You may only need to wear your glasses for close work like reading, but you may find that wearing them all the time is more convenient and beneficial for your vision needs.